......to the terraces, this space is of a high quality suitable for corporate and private events. The full length of the building has been used for the viewing terraces. 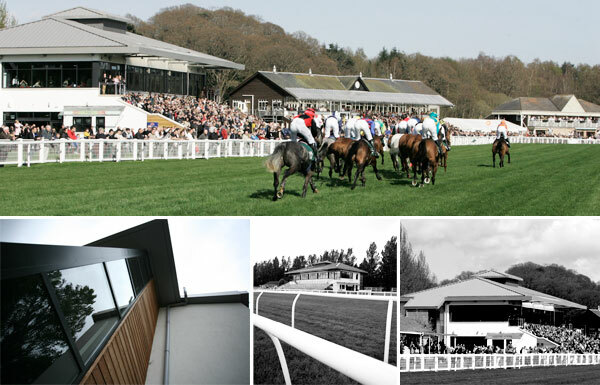 The design offers a modern, versatile, easily maintained, open plan building, using materials of a more permanent appearance than the existing timber buildings on the racecourse, yet is of a scale which complements the surrounding structures. The metal roof is of a low enough pitch neither to dominate nor detract from the existing slate roofs. The rendered external walls reflect local, current, building aesthetics, while the introduction of timber boarded panels reflects the equestrian nature of the building's setting.